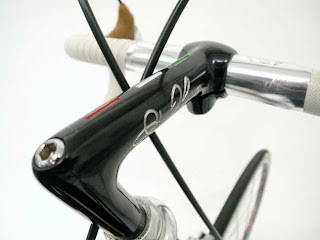 The Reed of Berriz climbing steadily on his Olmo. 1983 Giro d'Italia. One of the classy Spanish climbers of the eighties & early nineties was, Marino Lejarreta. Known as, 'The Reed of Berriz.' He was the only rider in history to complete all three Grand Tours in a single year four times in a career. An incredible accomplishment spanning the years; 1987, 1989, 1990 and 1991. 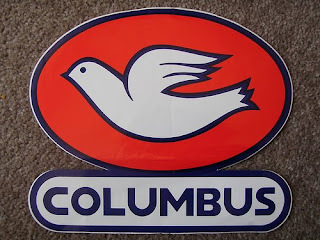 His highlight victory has to be his Grand Tour win in the 1982 Vuelta a Espana. 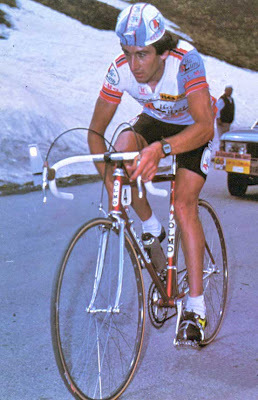 In the 1983 Giro, Lejarreta battled to finish in a fine sixth place. The previous year, at the World's at Goodwood, he showed his promise of good things to come by rallying on to finish in fifth. 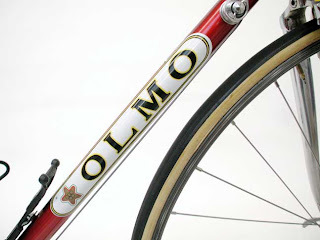 He captained the 1983 Alfa Lum-Olmo squad which were equipped with the beautiful Olmo Professionista in team red metallic with Columbus SL tubing. 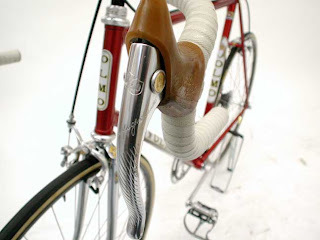 Below is a lovely example of the bike used by Marino Lejarreta and his Alfa Lum-Olmo team! 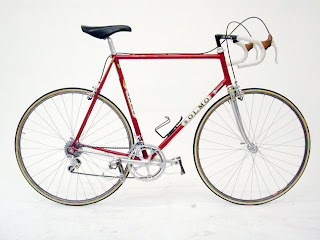 1983 Olmo Professionista (Team Replica bike) by Giuseppe Olmo.